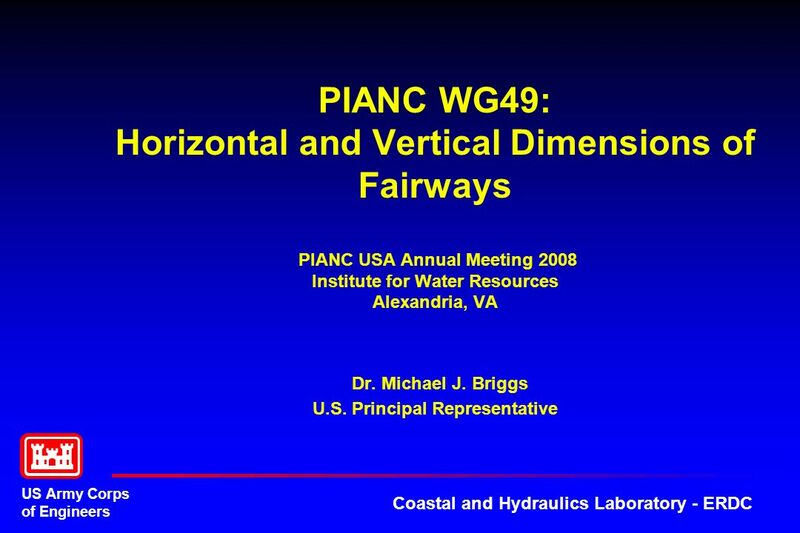 PIANC WG49: Horizontal and Vertical Dimensions of Fairways PIANC USA Annual Meeting 2008 Institute for Water Resources Alexandria, VA Dr. Michael J. 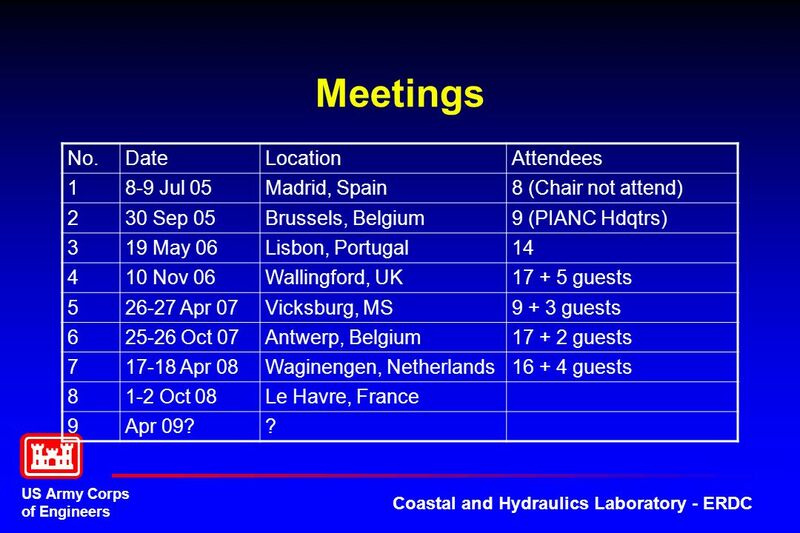 8 (Chair not attend) 2 30 Sep 05 Brussels, Belgium 9 (PIANC Hdqtrs) 3 19 May 06 Lisbon, Portugal 14 4 10 Nov 06 Wallingford, UK guests 5 26-27 Apr 07 Vicksburg, MS 9 + 3 guests 6 25-26 Oct 07 Antwerp, Belgium guests 7 17-18 Apr 08 Waginengen, Netherlands guests 8 1-2 Oct 08 Le Havre, France 9 Apr 09? ? 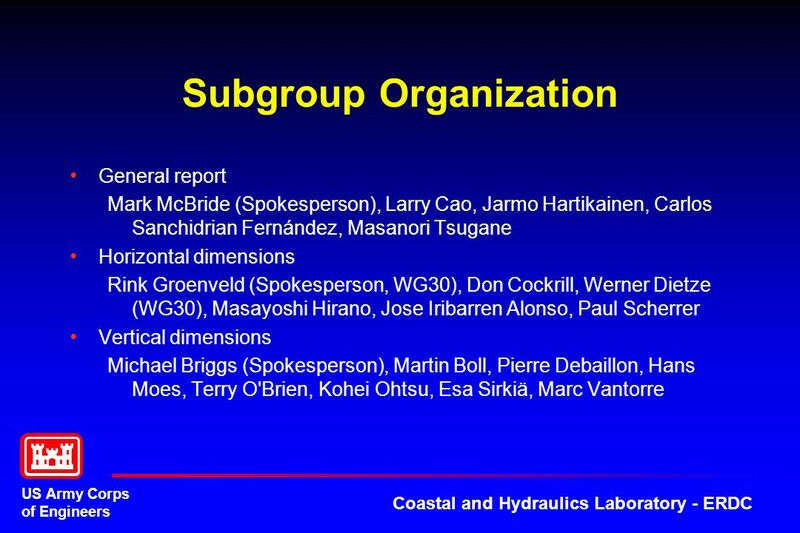 Download ppt "PIANC WG49: Horizontal and Vertical Dimensions of Fairways PIANC USA Annual Meeting 2008 Institute for Water Resources Alexandria, VA Dr. Michael J." 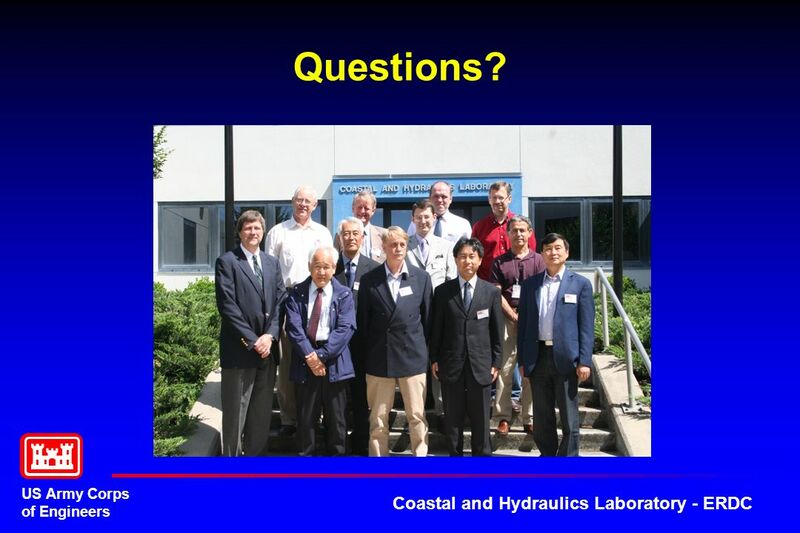 U Development of Reliability Program Standard GEIA-STD-0009 SE Summit March 2009 Approved for Public Release; Distribution is unlimited. CP-CEPCIDI Joint Working Group on the Social Charter of the Americas November 7, 2006 – Washington, D.C. Work calendar for preparation of the Social Charter. 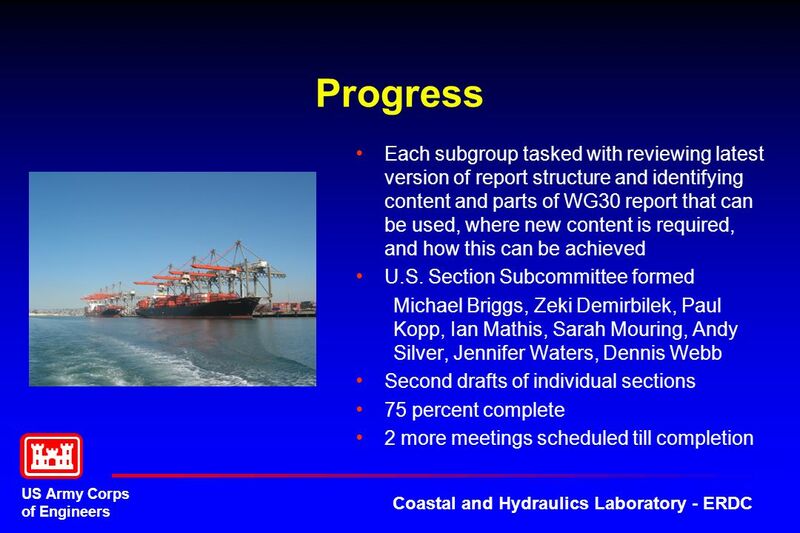 The GEO Secretariat Progress Report to GEO-2 November 2003 Helen M. Wood Secretariat Director. GSMP Local Community Network Global Agenda 28 Feb (Melanie Kudela. 9 November 2007 Cecilia de la Rosa Head of the Internal Quality Unit How to prepare for an external review Current trends in the European Quality Assurance. Spanish Initiatives Assessing future health workforce needs. 1 Workshop: Injury Prevention Management Toolkit. 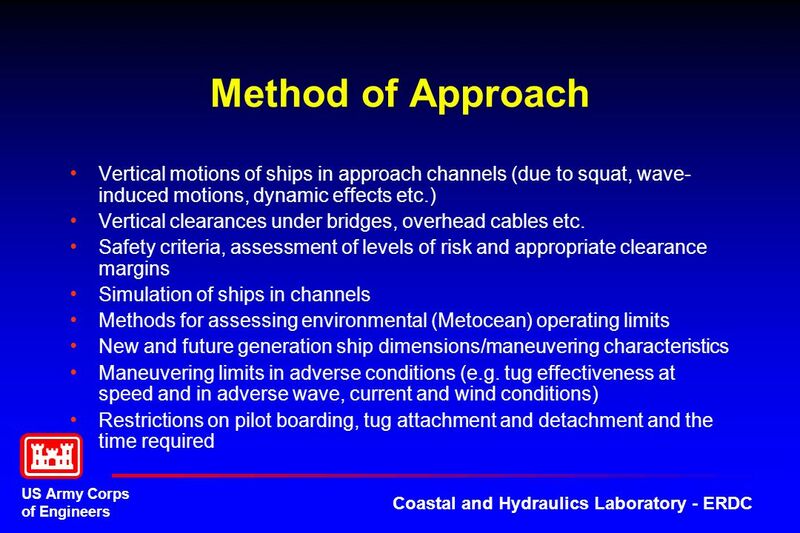 MarCom Maritime Navigation Commission Chairman MarComGeoffroy Caude (France) Secretary MarComWim Verhagen (The Netherlands) U.S. RepresentativeE.Dan Allen. 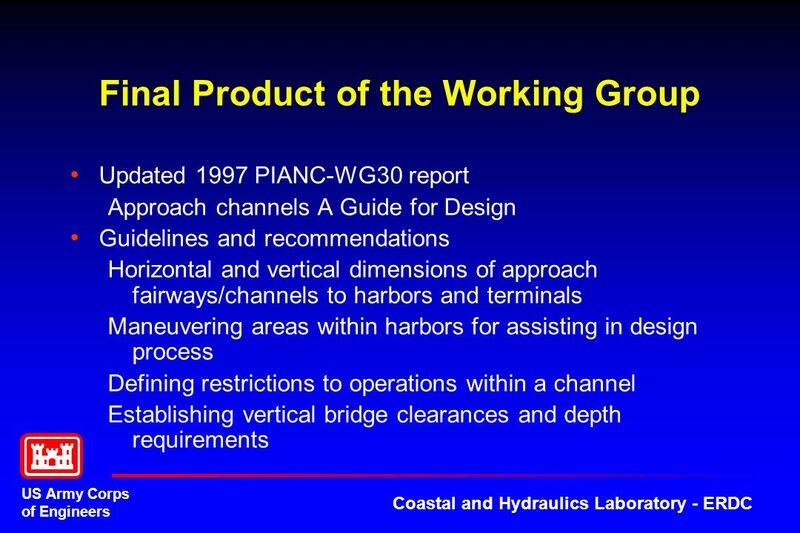 PIANC USA Annual Meeting 2008 IWR, Alexandria, VA EnviCom Task Group 2 Toward Sustainable Waterborne Transportation. 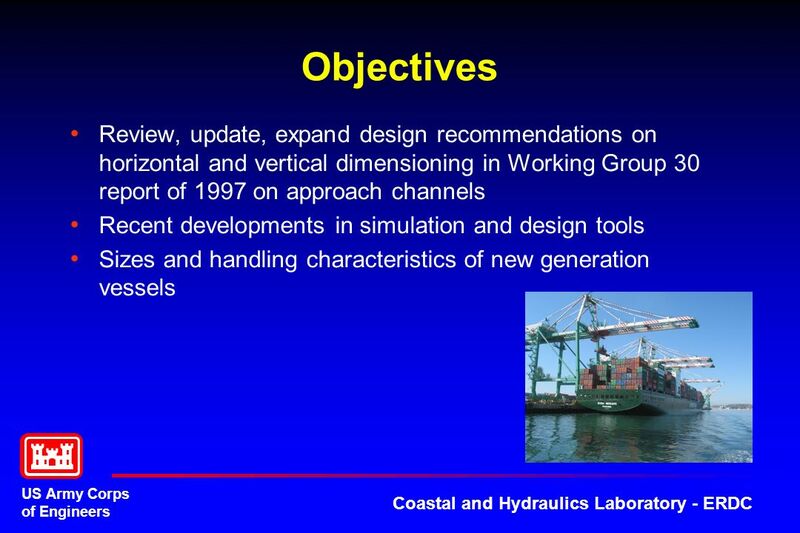 PIANC USA Annual Meeting 2008 Maritime Navigation Commission Working Group 56. 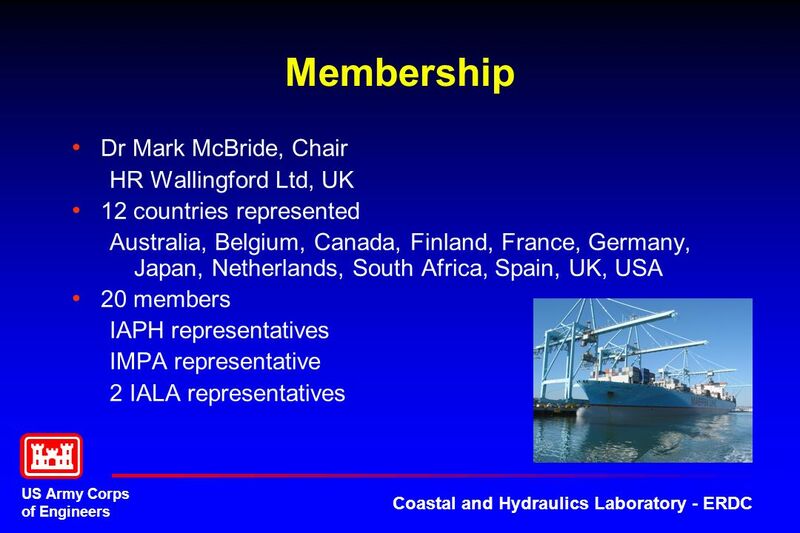 PIANC And The Environment International Navigation Association Environmental Commission – EnviCom Chairman Harald Köthe Vice-Chair and Secretary Edmond.